What is a First Time Buyer Loan? Who is Eligible for a Kentucky First Time Buyer Loan? Many people dream of owning a home but the home loan process can be confusing for many first time home buyers. Mortgage lenders offer first time buyers with many home loan options and assist the buyer in finding the best home loan for them. First time home buyer programs can offer lower interest rates, low down payments, or reduced taxes. First time homebuyers often experience the most difficulty amounting a significant down payment and everyone should have the opportunity to buy a home. For this reason the Federal government has developed two loan programs to assist homebuyers that have a little or no down payment. These programs are called the Kentucky Federal Housing Administration (FHA) and the Kentucky Veteran’s Administration (VA). These programs are not solely intended for first time home buyers; your home loan advisor will be able to determine if you qualify and if so which program is acceptable for your needs. Kentucky FHA and VA loans can be especially advantageous when combined with a HFA or MCC first time homebuyer program. Who is Eligible for a First Time Buyer Loan? Kentucky First time home buyer programs are designed to help borrowers who may not have enough money to pay the full cost of the down payment or the closing costs on a mortgage. These programs make obtaining a mortgage more cost effective. There are even programs specifically for residents of each state. First time home buyer programs are available to those who have not owned a home for the past three years. Kentucky Community homebuyer programs reduce the down payment the borrower must pay to 3%, which must be the borrower’s own funds. The closing costs can be gift funds, a grant, or seller assistance up to 3% of sale price. This type of home loan requires the home buyer to take a class on home ownership in their state. Upon completion of the class, the homebuyer will receive a certificate that reduces the cash requirement and expands the qualification ratios. Community homebuyer programs have been making it possible for many people to have the opportunity to buy a home. Escrow is a deposit of funds, a deed or other instrument by one party for the delivery to another party upon completion of an event. In simpler terms, escrow is where the transaction changes hands and prevents the seller from not receiving the money from the sale and prevents the buyer from not receiving the home that was purchased. Escrow is important to both buyers and sellers during the mortgage process. A Mortgage Credit Certificate or MCC from KHC -Kentucky Housing Corp is a certificate awarded by your local government agency authorizing the home loan borrower to take certain federal income tax credits. The credits awarded help to free up funds and make the monthly home loan payments more affordable for the homeowner. First time home buyers are typically the candidates eligible for an MCC but in special cases that you may discuss with your home loan advisor this requirement may be waived. Income and purchase price requirements also vary state to state and should be covered in conversations with your home loan representative. First time buyer programs in Louisville can make securing a Louisville home loan easier and more affordable. Contact us at 502-905-3708 for your Louisville Ky mortgage to begin your first time buyer loan. All Kentucky Housing first mortgage loans are for a 30-year term at a fixed rate of interest. The home you purchase through Kentucky Housing must be the only residential property you own and you must occupy the home as your principal residence while the loan debt is still outstanding. To qualify, you must meet KHC’s regular income guidelines, make a down payment or qualify for down payment assistance, be a US citizen or legal alien and have an acceptable credit history. Some Kentucky Housing loans are subject to a federal recapture tax. Recapture is a federal income tax that the borrowers may have to pay if they have considerable growth in their income and they sell or transfer their KHC-financed home within 9 years. However, KHC has implemented a Recapture Tax Guarantee Program for all loans that close after October 1, 2006. The Recapture Tax Guarantee Program will reimburse homeowners if they are subject to pay the Federal Recapture Tax on their KHC mortgage loan upon the sale of their home. Conventional Insured by approved mortgage insurance company. Minimum credit score of 660 or better. Quick turnaround time, 20 percent down payment and no up-front or monthly mortgage insurance. FHA Insured by the Federal Housing Administration. Down payments as little as 3.5 percent. Can use DAP for 3.5 percent down payment requirement. Upfront and monthly mortgage insurance. Minimum credit score of 620. VA Guaranteed by the Veterans Administration for qualified military veterans. No down payment if the property appraises for the sale price or greater. Credit underwriting is flexible. Minimum credit score of 620. No monthly mortgage insurance payments. RHS Guaranteed by Rural Housing Services (RHS). Home must be located in a rural area as defined by RHS. No down payment if the property appraises for the sale price or greater. Minimum credit score of 620. No monthly mortgage insurance payments. Mortgage Credit Certificates (MCC) A Mortgage Credit Certificates (MCC) reduces the amount of federal income tax you pay, giving you more available income to qualify for a mortgage loan. MCCs are NOT mortgages. They are tax credits that put extra cash in your pocket each month, so you can more easily afford a house payment. That means fewer tax dollars will be withheld from your regular paycheck, increasing your take-home pay. The federal government allows every homeowner an income tax deduction for all the interest paid each year on a mortgage loan. But an MCC gives you a tax credit of 25 percent (not to exceed $2,000). You can still deduct the remaining 75 percent interest on your income taxes. A tax credit is not the same as a tax deduction. A tax deduction reduces the portion of your income that is taxed, so you pay less. A tax credit is a direct, dollar for dollar reduction in the total tax you owe. The MCC is effective for the life of the loan as long as you live in the home. If you sell your home in the first nine years of ownership, you may be subject to Federal Recapture Tax. Complete First Time Home Buyer Programs Available in Kentucky. Available to all KHC first mortgage loan recipients. Purchase price may not exceed $200,000. Households that include a person with a permanent disability and who receives disability income (SSI, SSDI, Veterans Disability etc.). Single- and two-parent households that have at least one dependent child under the age of 18 living in the household and that are first-time home buyers (have not owned a home or had an ownership interest in a home in the last 3 years). Special First Mortgage Loan Programs New Construction Program for Single-Parent, Disabled and Elderly Households offers loans for newly constructed houses at interest rates from 1 to 6 percent. These limited funds are available, usually in July, on a first-come, first-served basis. Guidelines Interest rate determined by the families’ ability to repay the loan. For new homes with a purchase price of $115,000 or less. Eligible borrowers: Single parents (at least one dependent under the age of 18 must live in the home.) Households with a person who has a permanent disability and who receives some form of disability income (SSI, SSDI, Veterans Disability etc.). Households where at least one of the home buyers is age 62 or older. Income guidelines: $28,000 for a household of 1 or 2 people; or $33,000 for a household of 3 or more people. Kentucky Housing’s DAP loan program may be used for down payment and closing cost assistance. 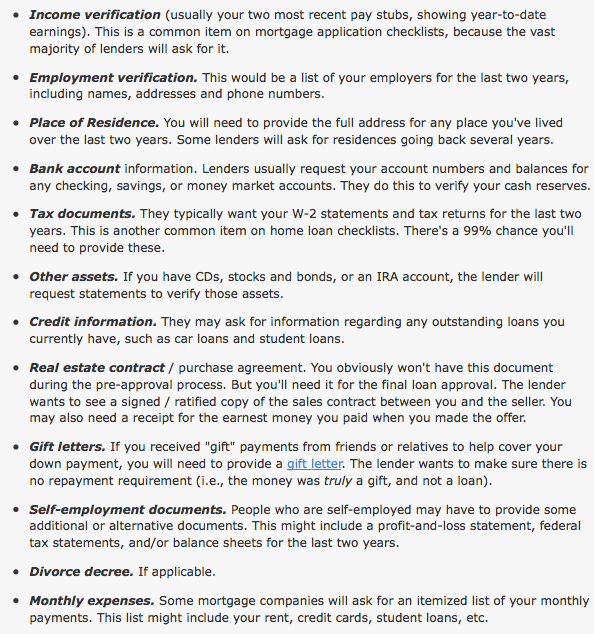 Applying for a Kentucky Housing loan is easy. Just contact one of our approved lenders near you and ask for a Kentucky Housing loan. Kentucky Home Buyers Program Summary below use to purchase their first home. Hey there, I hope the real estate market is considerably more suitable in 2012. I really hope you as well as your family enjoy a well deserved and Happy Holiday and I have a feeling 2012 to be a great year for us all. Don’t you understand that it’s high time to get the mortgage loans, which can realize your dreams. I know what you mean, Where can I find down payment assistance for first time home buyers in the state of Kentucky? Louisville is the city. My husband and I are now looking and researching. Thank you.